Christmas is coming, what will be the most popular Christmas Gift this year? Which gift will be loved by the kids? Definitely, it will be GPS Watch tracker PT23. 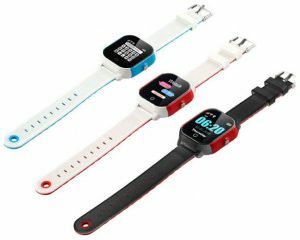 First of all GPS Watch tracker PT23 has very fashion appearance, which has 2 different colors, Red color, and Blue color, also for bulk order we can customize the watchband color for you. PT23 not only can be used for kids but also it can be used for adults, below is one customized PT23 GPS watch tracker for our clients, as you can see by doing a small change on both sides and watchband, it looks very formal, also businessman can wear it on hand. 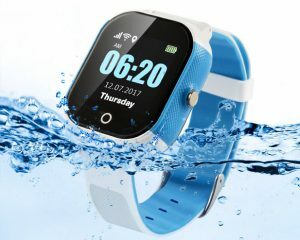 Secondly, our GPS Watch tracker PT23 is IP68 waterproof, then Parents no need to worry about the watch soaked in water when the baby is playing. Thirdly GPS Watch tracker PT23 have a geo-fence alarm, after setting when the Kids enter in/out the geo-fence area, there will generate a geo-fence alarm from the mobile app, so parents will know if their kids are inside the geo-fence area or exit out of this area. For example, if we set school as a geo-fence area, enter the geo-fence area as geo-fence in alarm, exit geo-fence area as geo-fence out the alarm. In the morning after the kids left home, if we receive geo-fence in alarm means our kids arrived to school, in the afternoon, when we get geo-fence out an alarm, that means our kids is coming back home. 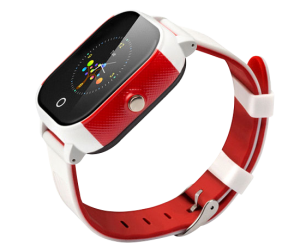 Forth GPS Watch tracker PT23 has voice monitoring, anytime if you want to listen to what’s happening around the kids? 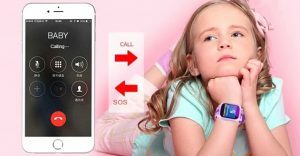 We can set Monitoring number, after that if we use the Monitoring number call GPS Watch tracker sim card number, it will enter in voice monitoring model, you can listen to what’s happening around the kids. 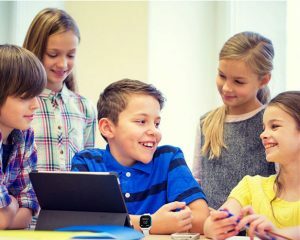 Fifth we can use GPS watch tracker as a phone, to make the phone call with our kids.Ask what are they doing, also if they need any help, they can call us directly. Sixth is we no need to worry about the battery run out too fast. PT23 GPS watch tracker has 450mah built-in battery, its standby time around 5days, if you set time interval as 10minutes, it can work for around 3days. The last important function is the SOS emergency button when in some emergency situation, kids can long press the button asking for help. After reading the above features, I can’t help buying one GPS watch tracker for my little sister, how about you?